This playground was designed as part of the central open space for a large new mixed use development that included low income housing, supportive housing and market rate housing as well as retail space and other community facilities. The playground was sited at the end of the central green space behind a pergola that screened it from the green. 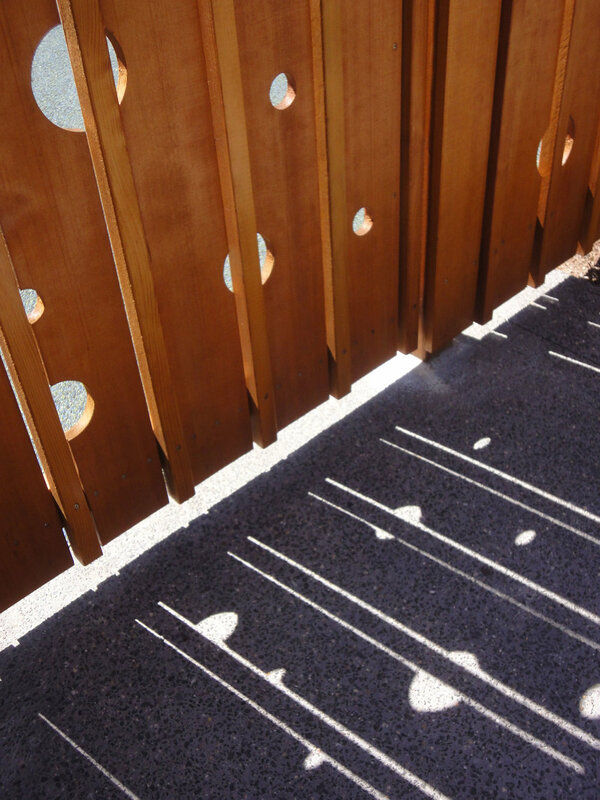 The pergola was backed with a custom wood fence that incorporated a pattern of playful circles and extended around the playground. The play ground side of the fence at the pergola has a continuous built in bench facing the play area.